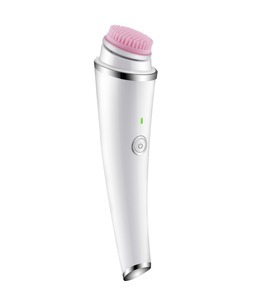 2018 New Home Use Rechargeable Vibration Facial Cleansing Brush Technical Features: sonic micro vibration+ 0.05mm Dupont brush hair Functions: 1. 360&deg;Rotating cleaning . Can print your own logo on product , can customize the retail box packing and other things. 4. We have very experienced R&D engineers and we have strong ability to do ODM projects. &bull; Built-in rechargeable battery, energy saving and environmental protection. &bull; Use a wide range of practical USB charging port more convenient and practical. 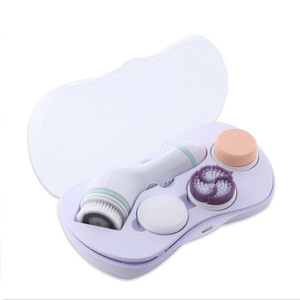 We are manufacturer mainly produce facial cleansing brush,tender skin instrument, beauty massager and so on. Fine brush hair deep pore, which is easy to remove residual color makeup, redundant sebum and clog pore, to let skin present healthy The product features Quick cleaning: Deep to dirt, inhibit melanin deposition. , and the company is a professional export-oriented company integrated with product research, production and sales. In order to ensure the best quality, all of the brush, nail art brush and cosmetic brush are handcrafted; the products are checked at each level after multi-channel inspection process, so as to provide the highest quality products at a reasonable price. 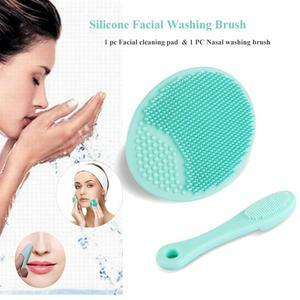 12 YRS Ningbo Seago Electric Co., Ltd.
Alibaba.com offers 44,714 facial cleansing brush products. About 79% of these are multi-functional beauty equipment, 2% are makeup brushes, and 1% are facial cleanser. A wide variety of facial cleansing brush options are available to you, such as multi-function beauty equipment, facial massager. You can also choose from free samples, paid samples. 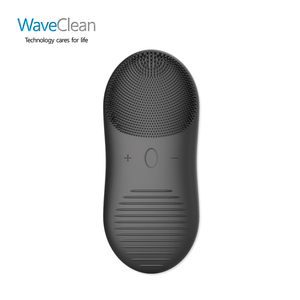 There are 44,714 facial cleansing brush suppliers, mainly located in Asia. The top supplying country is China (Mainland), which supply 100% of facial cleansing brush respectively. You can ensure product safety by selecting from certified suppliers, including 8,165 with Other, 6,547 with ISO9001, and 2,003 with BSCI certification.